Tagline: Every heart deserves a second chance. In spite of, maybe because of, the way her love life had gone, Kayden James works hard to become a successful Marriage and Family Therapist. The last thing she needs is for her ex-boyfriend Liam to stroll into her office and stir up old feelings. Especially after the way he treated her all those years ago. She would rather remain a single cat lady than risk her heart again. Dan and Rivi's cube fell through the Aun sky and tumbled down onto one of Aun's main city roads. Dan pressed his head to the back of the seat, and reached out with his mind to hold Rivi still against her bench. He held his breath as they flipped over and over before coming to a sudden stop as, outside, groups of the city’s Aunantet citizens gathered around the cube and halted it without touching it. Dan got out of his chair and unbuckled the straps holding Rivi. He levitated her off the bench and through the cube wall. Paying no attention to the crowd, he lowered her to the ground and shrank the cube, sending it back into the sphere on her necklace. Dan sat down beside Rivi, trying to wake her up, concern building on his face. A few Aunantet approached and circled Dan and Rivi chattering anxiously towards Dan while they checked Rivi over. One of the Aunantet ran forward from the farthest street corner. “What happened?” the Aunantet asked Dan. Finally, someone he could understand. The Aunantet's face faded from its normal purple to a light pink. “Rivi … Rivinaig,” Dan replied, quavering, looking worriedly at Rivi and sensing this Aunantet was concerned. “Yes, she's told me a bit about him,” Dan replied. “Does anyone know where I can find Ankh?” the Aunantet asked the crowd of other concerned Aunantet that had started to gather in the street around them. Another Aunantet pushed his way through the crowd toward Dan and Rivi. Dan levitated Rivi once more and headed over to the Aunantet who spoke. Dan looked at the Aunantet a bit warily. Orlon said nothing as he led Dan and carried Rivi down the road, away from the dwindling crowd. “I heard what you said about the Aruk. You and Rivinaig were captured by them?” Orlon finally asked as they rounded a corner. “I don't know, what's today's date?” Dan asked. Daniel nodded, and Orlon closed his eyes and consulted his personal computer. “Saturday, February 15, earth time,” Orlon answered, looking at Dan. 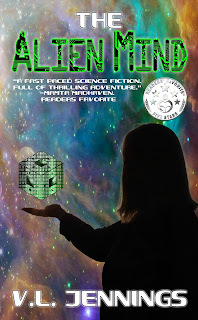 When a group of aliens called the Aruk abduct Young Rivinaig and several other children, they are thrown into the adventure of a lifetime. The Aunantet, a benevolent race of aliens, rescue the children and adopt them into their culture and raised them as if they belong. The children's new families teach them how to harness the full capacity of their minds, enabling them to defy the laws of physics and develop special mental abilities. Release Date: Paperback release date to be set soon.